Roxbury Hollywood New Years Eve Party Tues. Dec. 31st 2013 feat. DJ Mike Danger, General Admit Ticket and Open Bar All night VIP ticket options both available at discount price, Buy Roxbury NYE 2014 Tickets today! 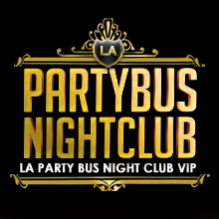 For more information, visit www.newyearsnightlife.net, or call (310) 749-9029. Roxbury Hollywood is located at 1661 Ivar Ave. in Hollywood. Be sure to get your tickets early as this popular event is sure to sell out quickly. Purchase NYE 2014 tickets at www.ticketvibe.com/roxJB, or call (310-749-9029) and reserve your ultimate NYE VIP bottle service tables and packages before it’s too late! [About] Roxbury Nightclub Hollywood — Few L.A. nightclubs loomed as large in the public imagination as the Roxbury Nightclub during its near-decade-long reign on Sunset Boulevard. From the late 1980s to 1997, it was one of the West Coast’s premier celebrity playhouses, hosting news-makers such as Madonna and Tom Cruise. The spot was permanently seared into America’s visual vernacular thanks to Will Ferrell and Chris Kattan’s 1998 film “A Night at the Roxbury” (even though the club scenes in the comedy were shot inside the Mayan downtown). The new Roxbury in Hollywood (1661 N. Ivar Ave) which officially opened in 2011, is different indeed. The club’s stellar design screams “club,” yet sensual touches sprinkled throughout the 5,000-square-foot space by designer Gulla Jonsdottir soften the industrial feel. Faux-leather black roses cover walls; circular booths; Neon cursive script lines the sides of the bar. I-beams jut out from the ceiling alongside exposed air ducts.